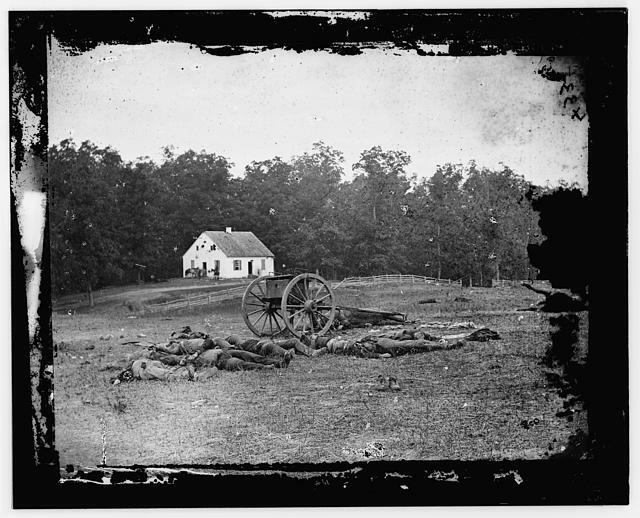 With more than 22,000 casulties the Battle of Antietam was the bloodiest day in American history. Fought on September 17, 1862, near Sharpsburg, Maryland, this battle was part of General Robert E. Lee’s plan to bring the war to the North. 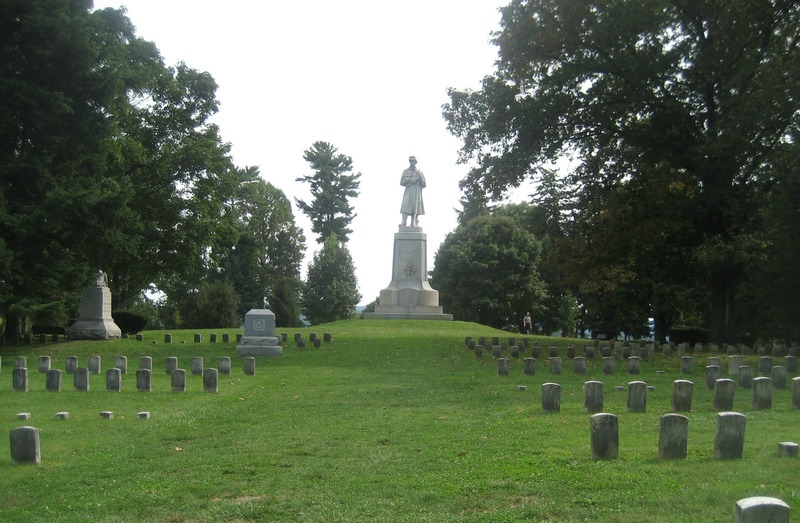 Lee thought that invading the Union state of Maryland would give war torn Virginia a reprieve from the fighting and perhaps even make slave-owning Maryland part of the Confederacy. 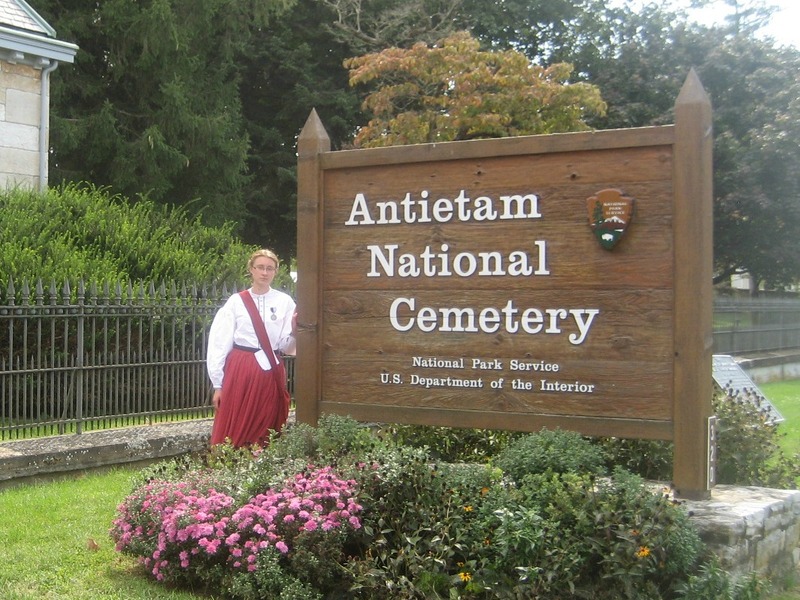 In September I was able to attend the reenactment that took place during the 150th anniversary of the battle. A small bunch from our reenacting group headed down to Maryland and met up with some more Bucktails there. This was the biggest reenactment I had ever been to, so it was pretty exciting! Since I was only one of two ladies from our group that were going I had a great time hanging with our guys and learning from them about the battle. The reenactment was held on a farm close to where the battle took place, but not on the original field since that is preserved by the National Park Service. On the second day we were there we did have a chance to go visit the actual site. 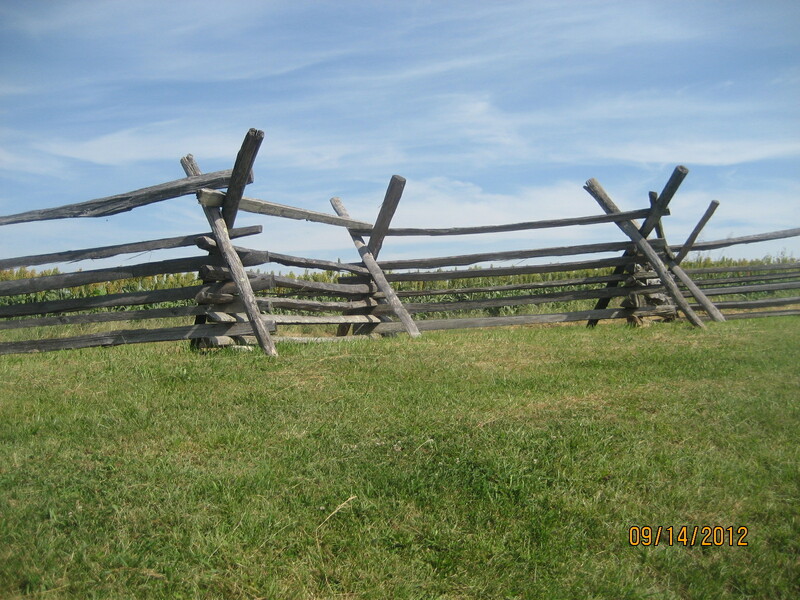 This was only the second time I had been to a real Civil War battlefield. I think the part that amazed me the most was being able to see some of the landmarks and features that had been there since the battle. Reading about a battle is one thing, but actually seeing the rifle pits that were dug by Confederate soldiers or the Sunken Road that Union soldiers attacked makes it much more real and impactful. Some of the things we were able to see were…. 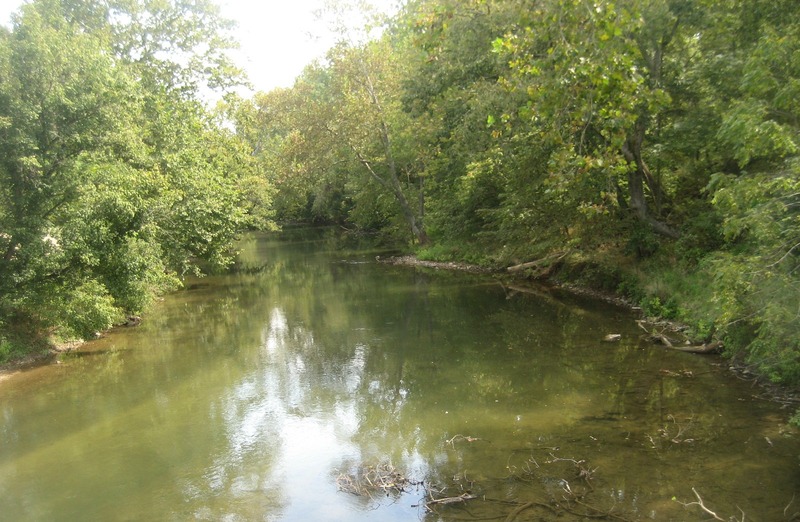 Antietam Creek, the (Union) namesake of the battle. 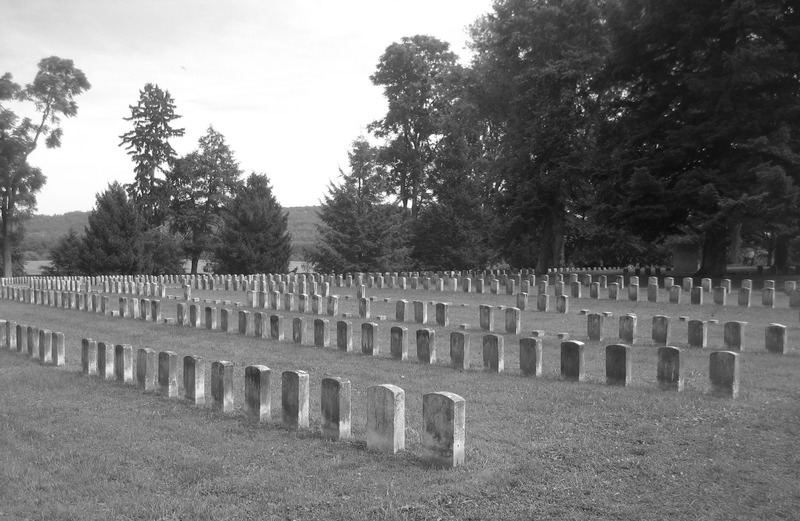 The Confederates called the battle Sharpsburg, after the town near where the battle took place. 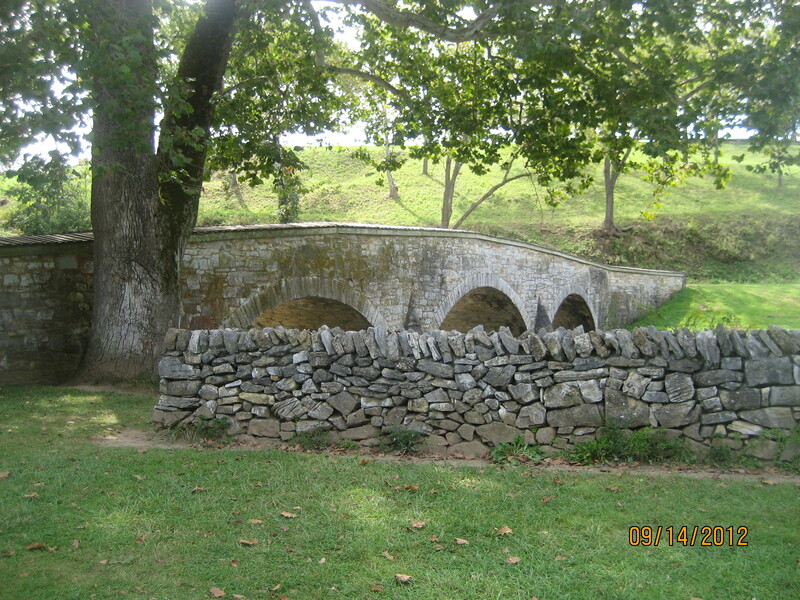 Burnside’s Bridge, where Union Major General Ambrose Burnside and the Ninth Corp attempted to cross Antietam Creek and attack the Confederates on the heights above. 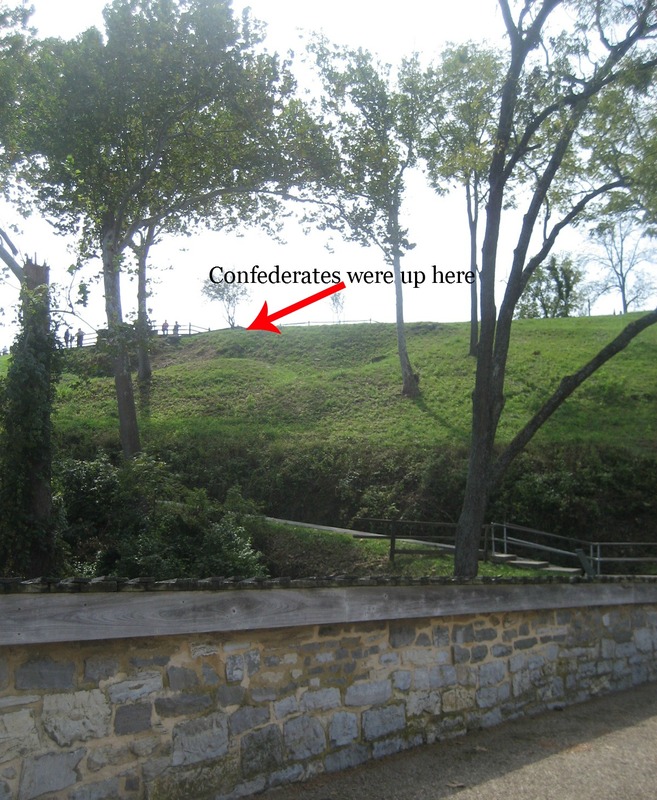 Even though there were only a small number of Confederates, they were able fire down on the Federals from the heights above the bridge and hold them off. 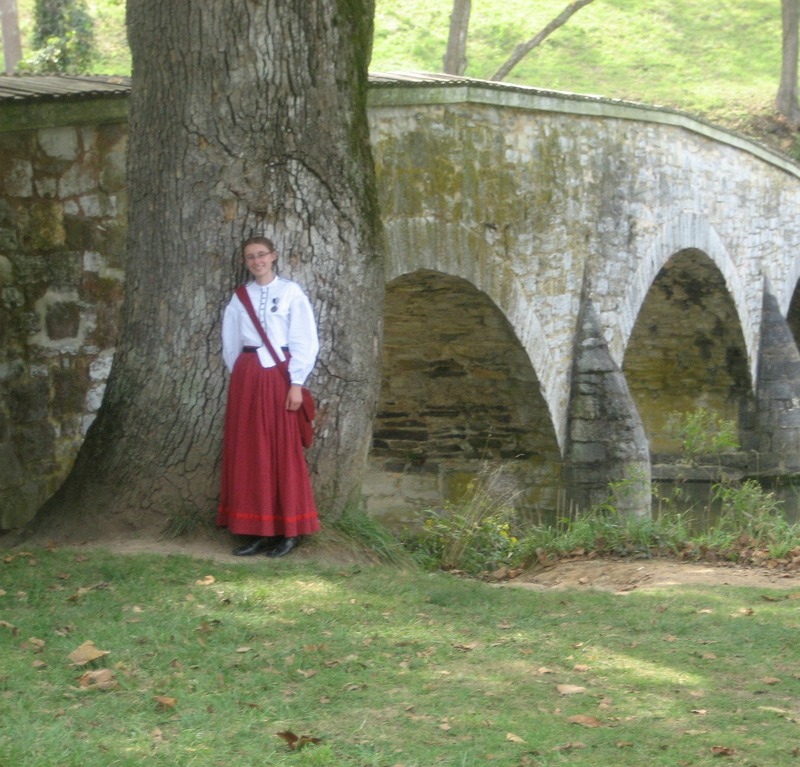 Along with the Confederate rifle pits (that unfortunately I couldn’t get a good picture of) and the bridge itself, there was also a tree they think has been growing there since the Civil War! It’s called a witness tree. 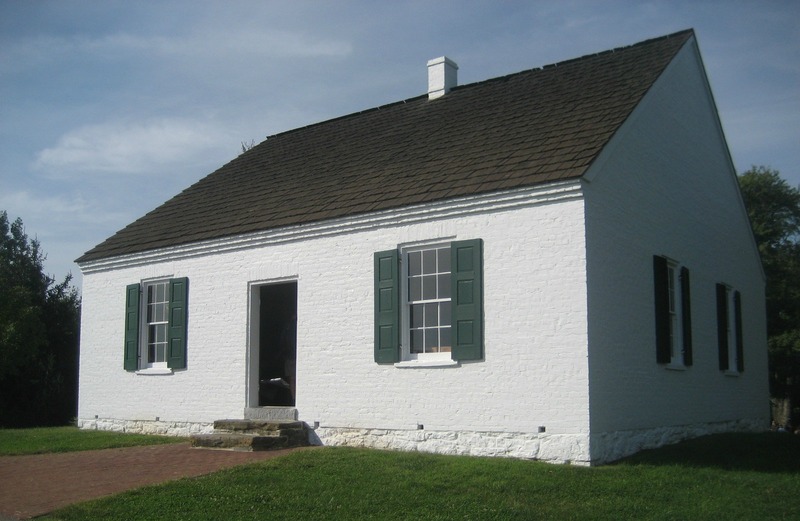 Another thing I saw was the Dunker Church, where fighting took place as the Federals attacked the Confederate left flank. The ironic thing is that the Dunkers themselves were pacifists. The original church blew down in a storm in 1921. The church that stands there now was actrually reconstructed using as many pieces as possible from the original. 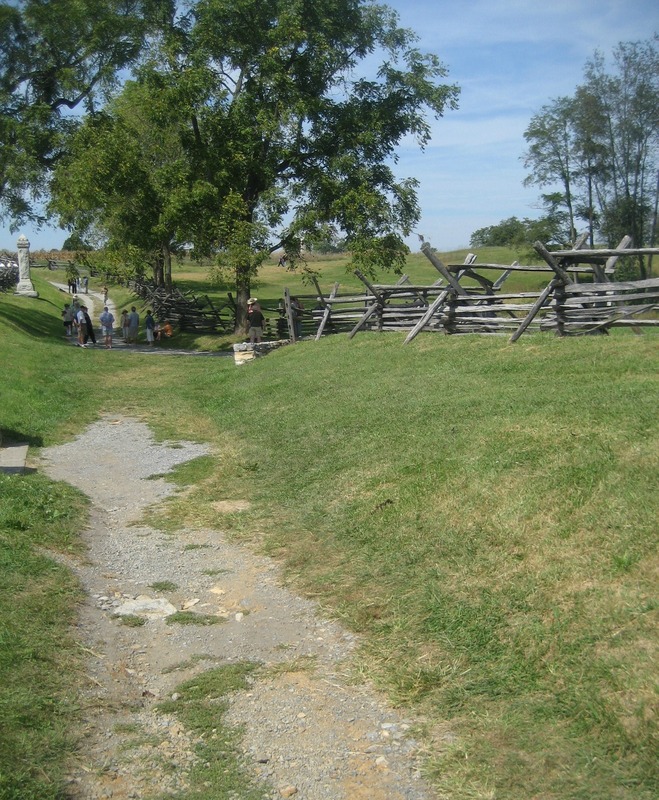 The Sunken Road was one of the three main areas of fighting during the battle. 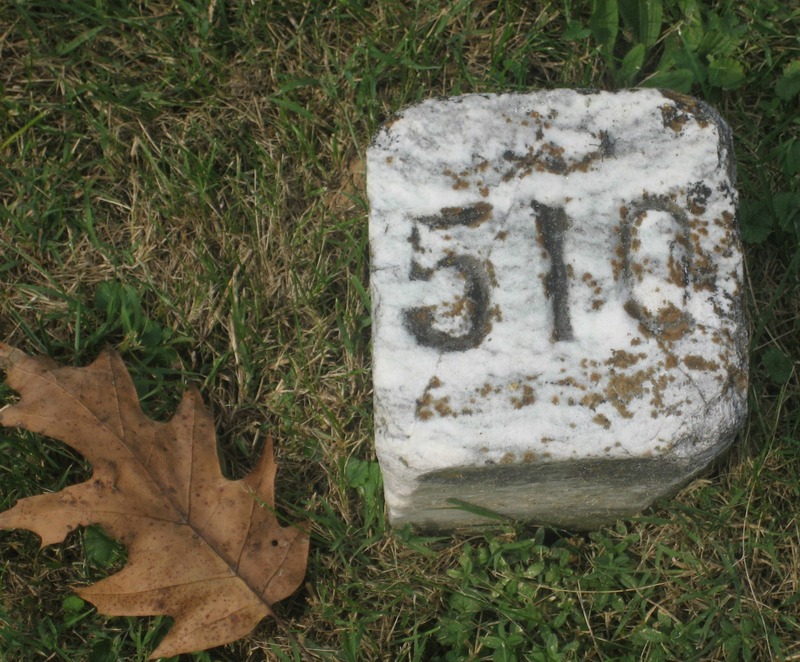 The Confederates were stationed in a road that had been wore away into a trench from use. 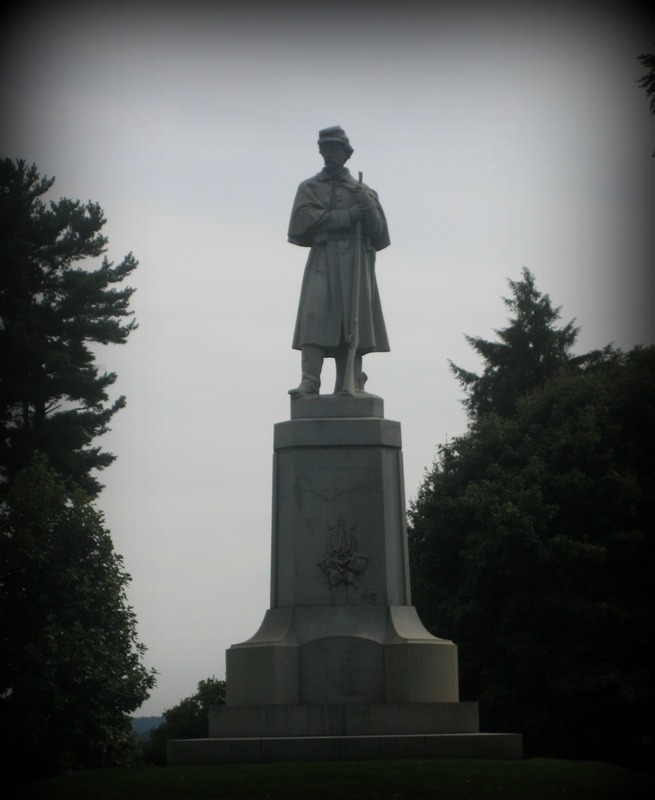 The Union forces tried to overcome the Confederates, but it took over four hours until they were sucessful. Casulties were so high the road was nicknamed “Bloody Lane”. It would be really hard to see the Union attackers until they were practically on top of you. Conversely, if you were a Union soldier you wouldn’t know where the Confederates were until you almost fell into the trench. 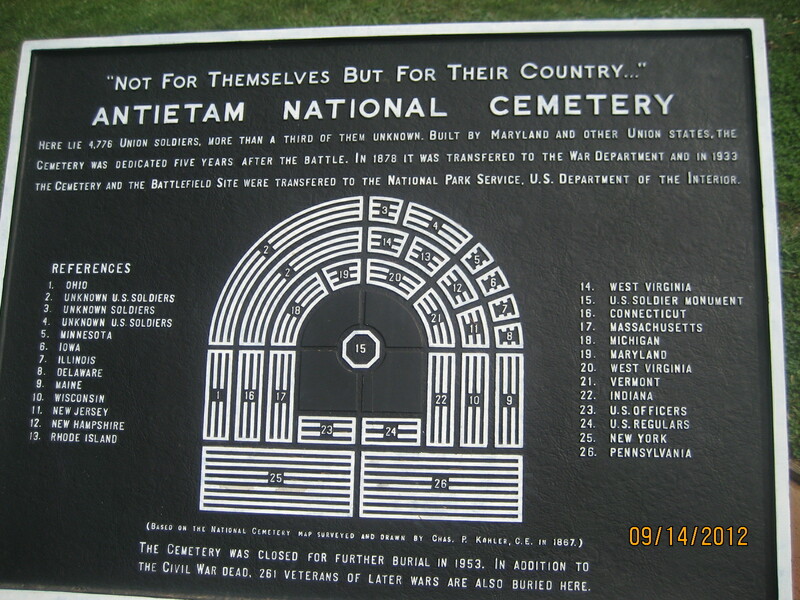 After visiting the battlefield we went and saw Antietam National Cemetery where 4,776 Union remains are buried from the Battle of Antietam and other battles from the Maryland campaign (including South Mountain and Monocacy). 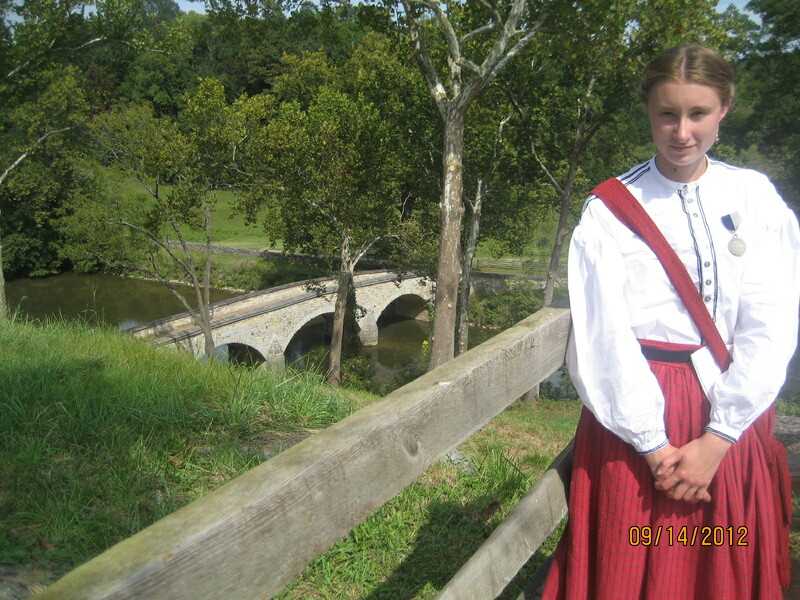 My next post will be pictures from the reenactment! Wow!! Mike, this is so cool! It must have been amazing/haunting to walk where the battle was. Love the pictures!